I have a terrible memory, but that is OK because life is full of surprises when you cannot remember a thing! Just the other day, I was happy to discover $10 I left inside the (mostly decorative) front pocket of my purse long ago. And a few weeks ago, I opened my spice drawer to find half a bag of chocolate chips, waiting to be tossed into a bowl of soft cookie dough. This morning, I surprised myself with tea I had made an hour earlier. I’ll say this is far from a disability. Over the weekend, I was going through some old pictures. Now that I’m shooting my photos in RAW, I had to move files around to make room for these enormous digital image files. I came across a fuzzy picture I took last December of a phenomenal recipe Mama U made for Christmas morning. The recipe was for a “brunch casserole” dish. Ham, cheese, sauteed leeks, and Dijon mustard sandwiched between two slices of sourdough bread. 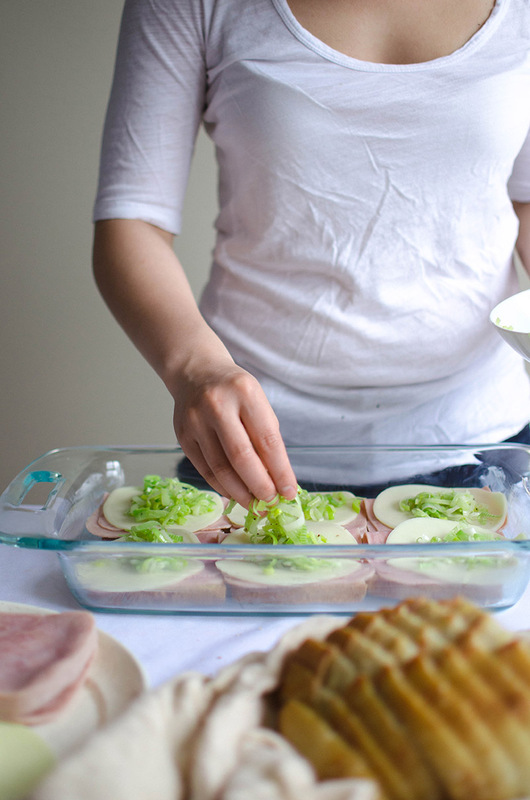 The sandwiches are placed in a casserole dish, then covered with a cream and egg mixture. 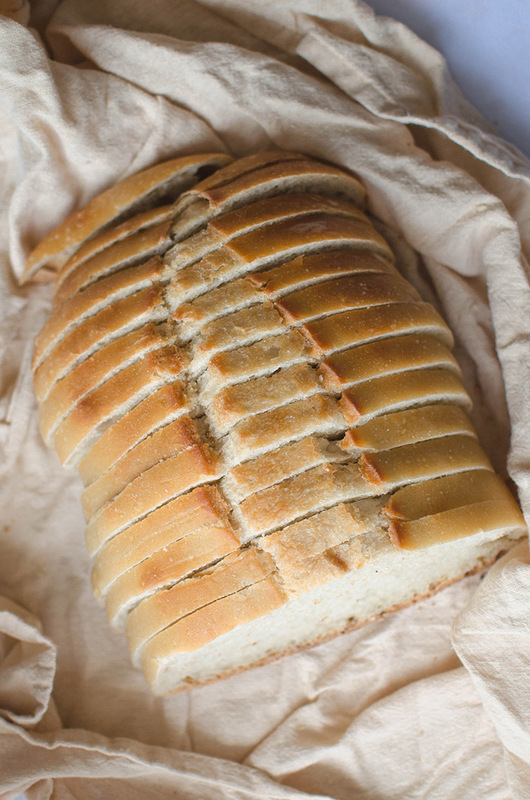 Once the bread has had time to soak up the wet mixture, it’s baked in the oven for about 40 minutes. 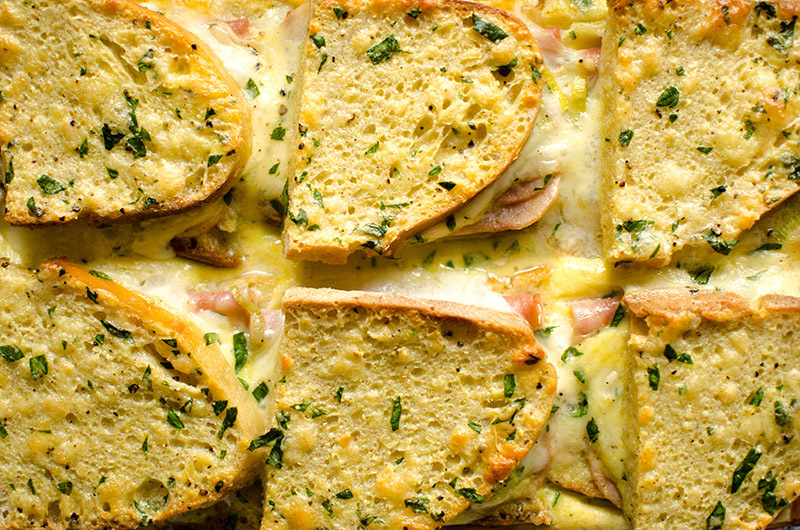 What you get is delicious crispy bread on top and melted cheese and ham on the bottom. We all went nuts for it. Naturally I forgot I took this picture, but I was over the moon when I saw it again and dropped everything to go make it. 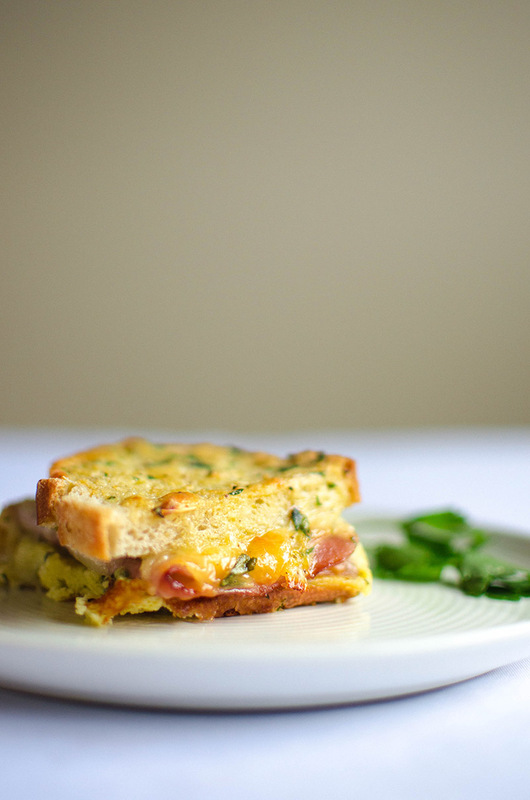 And without further ado, I give you these baked ham and cheese breakfast sandwiches! Heat ½ tablespoon extra virgin olive oil in a skillet over medium-high heat. 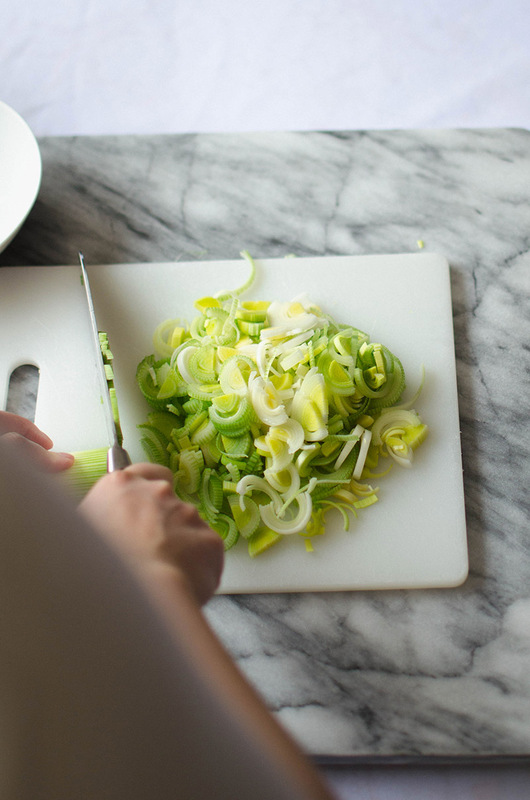 Add the leeks, and cook for 4 minutes, until the leeks are soft and tender. Plate, then set aside. 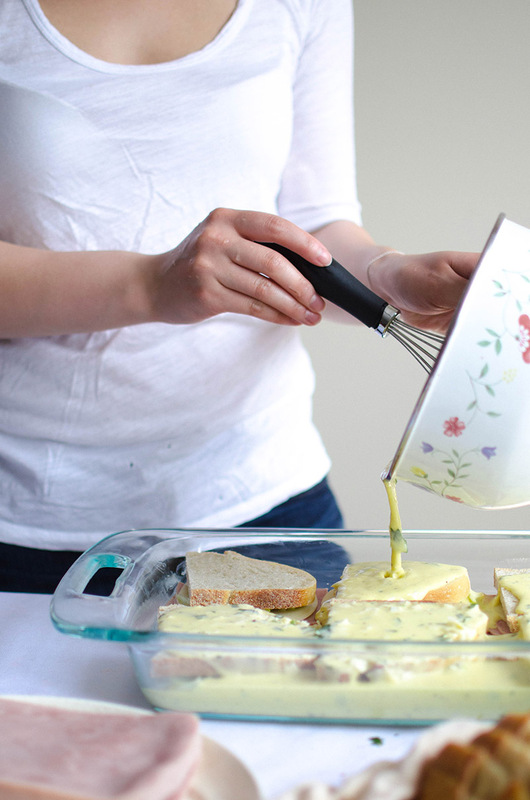 Grease a 13'' x 9'' baking dish with butter. Spread 2 teaspoons dijon mustard on 6 pieces of bread. 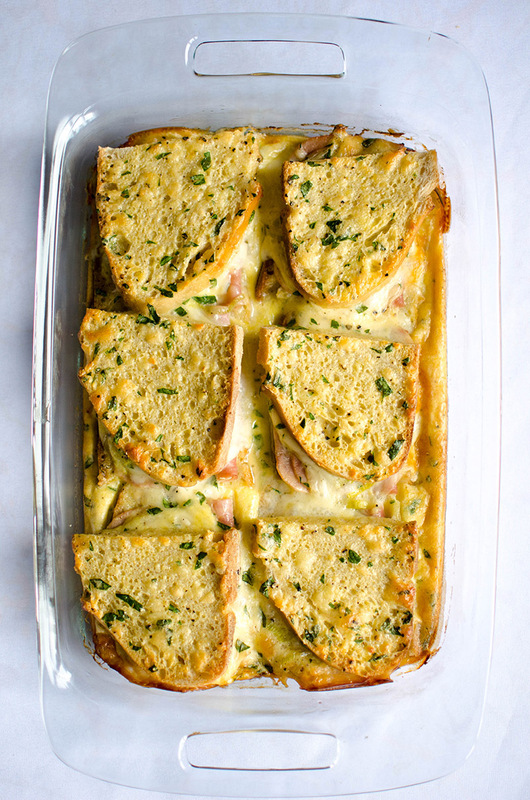 Arrange the bread on the baking dish, mustard side up. 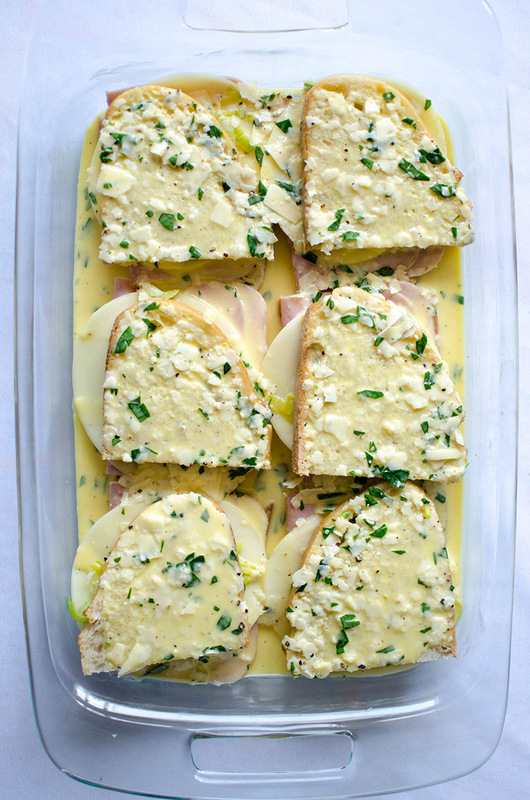 Place a slice of ham, then cheese over the bread. Evenly distribute the leeks over the cheese. Top with slices of bread. In a small mixing bowl, whisk the eggs until well blended. Whisk in the remaining ¼ cup extra virgin olive oil, heavy cream, Parmigiano Reggiano or Parmesan cheese, parsley, nutmeg, ¼ teaspoons salt, and ⅛ teaspoon freshly ground black pepper. Pour the mixture over the sandwiches. Cover, and chill in the refrigerator for 2 to 12 hours. 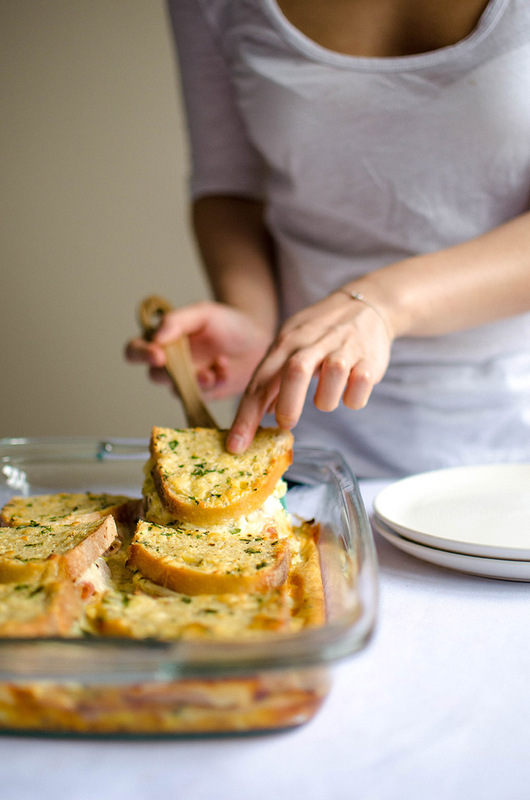 Before baking, uncover the dish and allow it to sit at room temperature for 30 minutes. Preheat the oven to 350 F degrees. Bake in a preheated oven for 40 minutes, until golden brown. Cool for 10 minutes before serving. 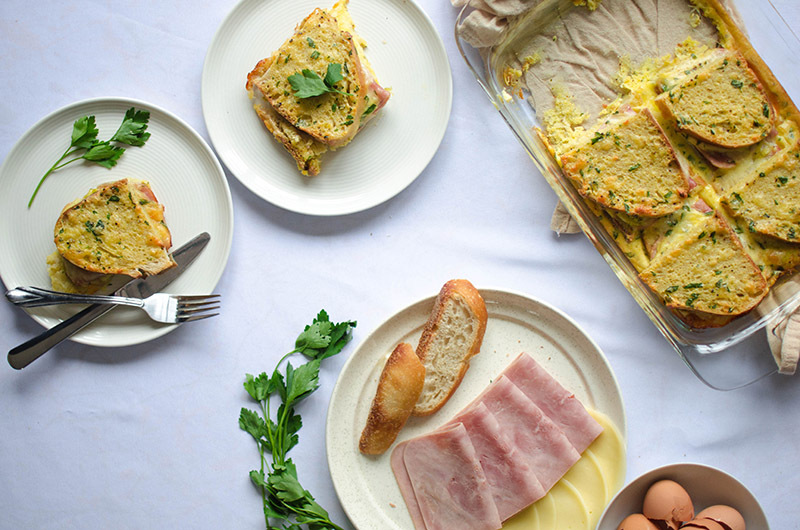 This entry was posted in Breakfast and tagged American, cheese, dijon mustard, eggs, ham, heavy cream, leeks, nutmeg, parsley, Provolone, sandwiches. Well this look simply delightful! Hahaha your comments always crack me up, Ellie! delighted to see this recipe again, Connie, – I thought it was very good too! Hopefully I kept my copy but if not, then I’ve got your version and won’t need to worry where to find it. I definitely wish I woke to these for breakfast this morning.. my breakfasts are never this good! You definitely have inspired me with this post. Oh my goodness! I have the same kind of forgetfulness. I put things in a “safe place” where no one would look then would forget where I put it. 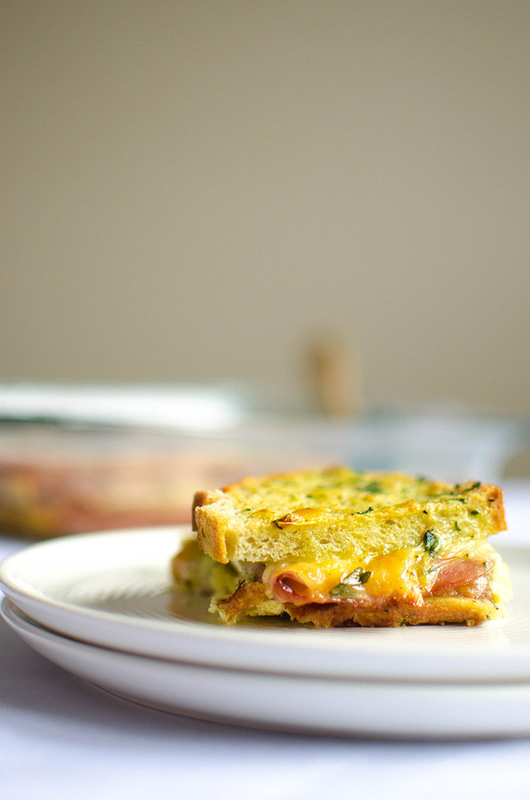 These baked sandwiches look out of this world! I’m salivating over them! Yum! 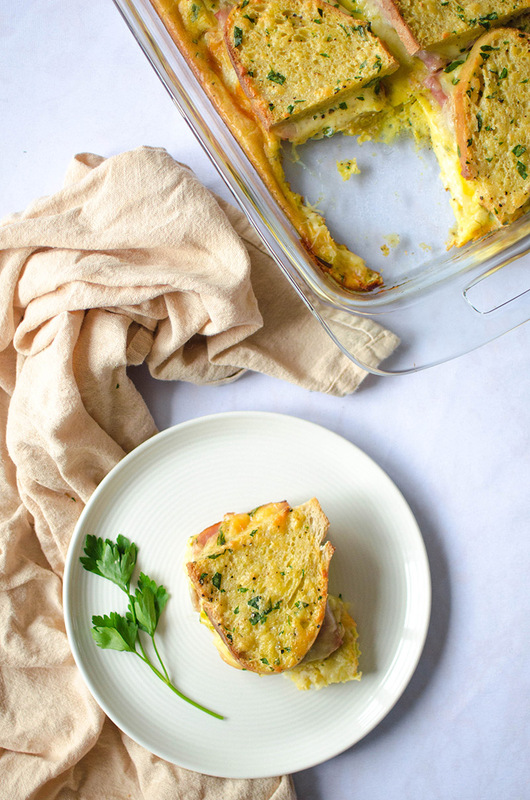 This is the *ultimate* comfort food! 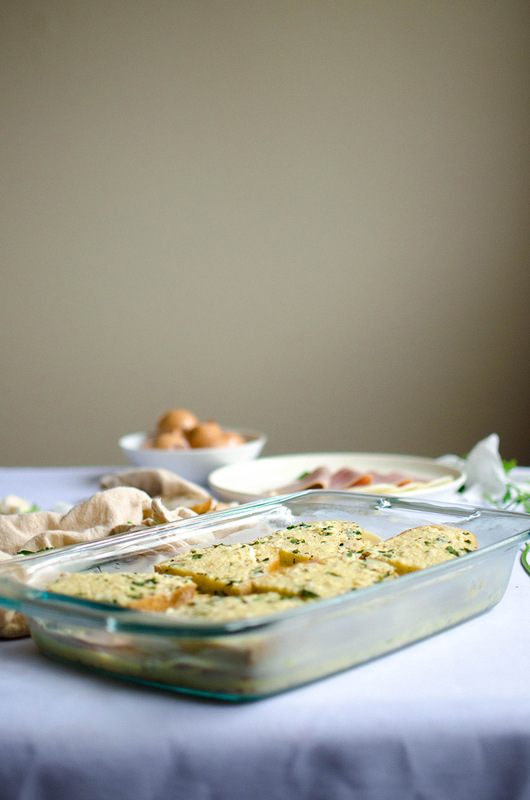 Our grown kids & grandkids have breakfast with us once a week and this was an absolute hit! Getting ready to make it again. Thanks for such a great recipe.